"USL" redirects here. For other uses, see USL (disambiguation). The USL Championship (USLC), formerly known as United Soccer League (USL) and USL Pro, is a professional men's soccer league in the United States and Canada that began its inaugural season in 2011. The USL is sanctioned by the United States Soccer Federation (U.S. Soccer) as a Division II Professional League since 2017, placing it under Major League Soccer (Division I) in the hierarchy. The USL is headquartered in Tampa. Until 2016 it had Division III status. The league is owned and operated by United Soccer League (originally "United Soccer Leagues") and was formed as result of the merger of their USL First (USL-1) and Second Divisions (USL-2), following the controversial 2010 season which saw neither the USL-1 nor the North American Soccer League (NASL) receive Division II sanctioning from the USSF, resulting in the temporary USSF Division 2 Pro League. United Soccer Leagues stated that the merger would strengthen the league's position within the American professional soccer landscape through stability, commercial growth and the professional development of soccer in four main regions throughout the United States and Canada. In January 2013, United Soccer Leagues and MLS reached an agreement to integrate the USL league competition with the MLS Reserve League, primarily to improve player development in North America, strengthen league competition and build ties between leagues in the American soccer pyramid. This multi-year deal encourages MLS and USL team affiliations and player loans, aiming to have more games for teams and developing players. As of the 2019 season, 15 USL Championship teams are affiliated to MLS teams and every team but Columbus Crew SC, FC Cincinnati, New England Revolution, Los Angeles FC, and Vancouver Whitecaps FC have an affiliate in either the USL Championship or third-level USL League One (USL1). Minnesota United FC, Orlando City SC, Toronto FC, and FC Dallas have their top affiliates in USL League One. On September 8, 2010, the United Soccer Leagues formally announced the creation of USL Pro in a press release. Prior to the official announcement of the new league, on August 11, 2010, the Dayton Dutch Lions FC revealed they would be joining the "USL-Pro Championship Division (former USL-2)" at a press conference, revealing the name of the new league before its official announcement. With this disclosure, the Dutch Lions were the first confirmed team in USL Pro for its inaugural 2011 season. Alongside the announcement of the new league, the Richmond Kickers revealed they would be moving to USL Pro for 2011. With the departure of the Portland Timbers to MLS in 2011 and the defection of the Puerto Rico Islanders to the NASL from USL-1, the Austin Aztex were the only remaining USL-1 team not yet a part of USL Pro. On September 22, 2010, the "Caribbean Division" of USL Pro was announced, with teams from Puerto Rico and Antigua and Barbuda signing on to compete in the league. With the addition of Puerto Rico United to the league and "Caribbean Division", league representatives expressed their intent to see expansion in the region continue, with an eventual 8-team "Caribbean Conference". With the inclusion of a team from Los Angeles, this division eventually became the International Division. On September 22, 2010, USL announced that Sevilla FC Puerto Rico and River Plate Puerto Rico would be joining USL Pro in 2011 alongside Antigua Barracuda FC as part of the building blocks of a Caribbean division. On September 28, 2010, USL announced that one of their flagship clubs and reigning 2010 USL-2 Champions, the Charleston Battery, would be joining USL Pro for its launch in 2011. On September 30, 2010, nearly two months following the team's own announcement of a "USL Pro Championship Division" move, the USL formally announced Dayton Dutch Lions FC would join USL Pro. On October 4 and 7, 2010, the USL revealed two USL-2 clubs, the Charlotte Eagles and the Harrisburg City Islanders (the latter now known as Penn FC), would be making the jump to USL Pro for 2011. The Pittsburgh Riverhounds were added as the 9th official team on October 22, 2010. October 25, 2010 saw the addition of the Rochester Rhinos who had previously committed to the NASL, along with expansion team Orlando City SC (formerly the Austin Aztex FC of USL-1) after new ownership secured and moved the team from Texas to Florida. On November 9, 2010, former USL-2 side Wilmington Hammerheads officially joined the league as the 12th team, followed on November 17, 2010 by F.C. New York. The expected number of teams to launch league play in 2011 was announced as 18–20, alongside the announcement of the Wilmington Hammerheads joining the league. On September 14, 2010, United Soccer Leagues President Tim Holt expressed the desired structure for the league to launch with 14–18 teams across four specific geographic areas in 2011, expansion to 22–26 teams by 2013, and 28–32 teams by 2015. The original playoff format saw eight teams compete in a one-game quarterfinal. Both the American and National Divisions saw their top three teams advance for an inter-divisional playoff, while the top two teams in the International Division played-off against each other to reach the semi-finals. The four remaining teams were re-seeded for a single semi-final match, again with the higher seed hosting, leading up to a single match for the USL Cup. In all playoff matches the highest seeded team hosted. On May 10, 2011, early in the league's inaugural season, the league announced that it was dropping the three Puerto Rican clubs from the USL Pro schedule. The PRSL clubs were dropped due to economic and ownership issues. The two remaining International Division teams – Antigua Barracuda FC and Los Angeles Blues – were re-aligned into the American and National Divisions. Due to the removal of the International Division, the revised playoff format featured the top four teams in each of the two divisions. The two division playoff winners met in the USL Pro Championship at the home venue of the team with the better record. Following the 2011 season, USL Pro announced with the release of the 2012 season schedule that F.C. New York would not be returning to play, with the former National and American Divisions being dissolved to form a single, eleven team league table. On January 23, 2013 United Soccer Leagues and MLS announced a multi-year agreement to integrate MLS Reserve League play with USL Pro teams, first through team affiliations and "interleague" play, but eventually fully merging MLS Reserves into the USL Pro structure. The stated goals of this partnership are to improve North American player development, strengthen league competition, build long-term ties between the leagues and expand the audience for both the leagues and developing players. While the 2013 season would feature partnered competitions between USL Pro and MLS Reserve teams, four Major League Soccer clubs opted to affiliate with an existing USL Pro team, agreeing to loan at least four MLS players to their affiliate: Sporting Kansas City with Orlando City, the Philadelphia Union with the Harrisburg City Islanders, D.C. United with the Richmond Kickers and the New England Revolution with the Rochester Rhinos. Each MLS club will eventually be expected to either affiliate with a USL Pro team or operate an independent reserve team in the league. The Houston Dynamo announced that they would be partnering with the Pittsburgh Riverhounds in 2014. However, this partnership between the Riverhounds and Dynamo was dissolved after just one year. Following the conclusion of the 2013 season, VSI Tampa Bay folded after only one season, along with founding league member Antigua. In December 2012, Sacramento announced it would begin play in 2014 as an expansion team, and in July 2014, USL announced that Oklahoma City would also join USL in 2014.Orlando City announced that it would leave USL after the 2014 season to join MLS as an expansion team for the 2015 season. The Los Angeles Blues were rebranded as Orange County Blues FC on February 5, 2014. The Phoenix FC franchise was revoked and replaced with Arizona United SC on March 13, 2014. USL Pro nearly doubled the number of teams in the league for 2015 in large part due to MLS franchises following the path taken by the LA Galaxy II. Seven MLS clubs announced the purchase of a USL Pro franchise for their reserve team. These MLS franchises joined four independent expansion teams that were previously announced for Colorado Springs, St. Louis, Tulsa and Austin. Additionally, Orlando City sold its franchise rights to Louisville interests, which unveiled Louisville City FC on June 3, 2014 as an affiliate of the new MLS side. The United Soccer Leagues announced that the Charlotte Eagles would drop to its Premier Development League (PDL), now known as USL League Two, while selling their franchise rights to another Charlotte group, which formed Charlotte Independence for play beginning in 2015. Finally, on December 11, 2014, the Dayton Dutch Lions self-relegated to play in the PDL starting in 2015. During 2014 and early 2015, the various MLS clubs in conjunction with the USL announced seven new franchises that would be owned or controlled by MLS team ownership, and would all begin play in 2015. On September 10, 2014, Real Salt Lake revealed the name of their previously announced USL Pro affiliate team would be Real Monarchs, and confirmed that the team would begin play in 2015. The team played at Rio Tinto Stadium until the 5,000-seat Zions Bank Stadium was built in Herriman, Utah. Both the Portland Timbers and Seattle Sounders FC created their own USL Pro squads, Portland Timbers 2 and Seattle Sounders FC 2 on October 14, 2014. The Montreal Impact announced that it would field a USL Pro team in September 2014. On November 18, 2014, FC Montréal officially joined the league. On November 20, 2014, Toronto FC announced that it would also field a team, subsequently named Toronto FC II, for the 2015 season.Whitecaps FC 2 joined USL Pro the next day. After discussing plans for a USL Pro team in 2015, then postponing those plans in September, the New York Red Bulls announced that their USL Pro team, New York Red Bulls II would begin play in 2015. The league also announced in 2015 that the league would be divided into two conferences. Teams would play a 28-game schedule with 22 games against all the teams in their conference, and the teams would be further assigned to four-club subdivisions for the other six games with an eye towards geographic rivalries between clubs. On February 10, 2015, United Soccer Leagues announced a branding change for the league. It would now be called the "United Soccer League" or "USL" for short. They introduced a new logo and branding, and stated their intention to apply for Division II status within the United States Soccer Federation hierarchy. During the 2015 season, USL announced several expansion teams for the 2016 season. The 25th franchise was awarded to Lone Star, LLC and the team would be named Rio Grande Valley FC. In a first for the USL, the team has a "hybrid" affiliation with the Houston Dynamo, who are responsible for the tactical part of the club, while the ownership group, Lone Star, is responsible for operations and management. FC Cincinnati was added as the 26th franchise and Bethlehem Steel FC, in the Lehigh Valley area and owned by the Philadelphia Union, became the 27th, Orlando City B (owned by Orlando City SC) as the 29th, the Swope Park Rangers (owned by Sporting Kansas City) as the 30th, and San Antonio FC as the 31st. The Austin Aztex announced that they would go on hiatus for the 2016 USL season on October 2, 2015. Floods damaging House Park midway through the 2015 season forced the team to relocate to a high school facility. The team was intended to return in 2017, pending construction of a new, soccer-specific stadium. However, stadium and ownership issues continued to plague the franchise, and they did not return. Expansion continued for the 2017 season with Reno 1868 FC, which had been announced during the 2015 season as the 28th franchise, starting play. On October 25, 2016, the USL added two teams from the North American Soccer League (NASL): the Tampa Bay Rowdies and Ottawa Fury FC. This was the first time a club moved from the NASL to the USL. The Montreal Impact also announced that it would fold its USL team, FC Montreal, in favor of affiliating with Ottawa Fury FC. On August 31, 2016, Kyle Eng sold his majority share of Arizona United SC to an investment group led by Berke Bakay and was rebranded as Phoenix Rising FC with plans to build their own stadium. On January 6, 2017, the U.S. Soccer board of directors voted to grant provisional Division II status to the USL for the 2017 season, placing the league on the same tier as the North American Soccer League. The NASL was also downgraded from Division II sanctioning to a provisional status due to its membership decreasing below the 12 team minimum. Following the 2017 season, the USL gained two more NASL teams: Indy Eleven and North Carolina FC. For the 2018 season, the NASL's provisional sanctioning was not renewed by U.S. Soccer, while the USL was granted full sanctioning under Division II on a year-to-year basis. The NASL attempted to sue U.S. Soccer for colluding with Major League Soccer to protect what it deemed to be a monopolization of top-flight soccer in the United States, but was denied by an appeals court. The USL's expansion efforts continued in the 2018 season with the additions of Nashville SC, Las Vegas Lights FC, Fresno FC (affiliated with the Vancouver Whitecaps FC) and Atlanta United 2 (owned by Atlanta United FC). The league also lost Orlando City B and the Rochester Rhinos, which each announced a hiatus, while the Whitecaps FC 2 were folded after its parent team in Vancouver decided to no longer run its own development team and affiliated with the new Fresno expansion. Four teams left the USL top flight after the 2018 season. The ownership group of FC Cincinnati was awarded an MLS franchise that starts play under the FC Cincinnati name in 2019. Penn FC, the Richmond Kickers, and Toronto FC II voluntarily dropped to USL League One, a new third-level league that United Soccer Leagues will launch in 2019. The Kickers and Toronto FC II will begin League One play in 2019; Penn FC suspended professional operations for 2019 and will resume play in League One in 2020. In addition, the announced hiatuses for both the Rhinos and Orlando City B became permanent departures. The Rhinos announced they would extend their hiatus through 2019 before resuming play in League One in 2020, while Orlando City B will resume play in 2019 in League One. The league also approved several other expansion locations in Austin, Birmingham, Memphis, Chicago, Oakland East Bay, Hartford, Albuquerque, El Paso, and Loudoun County, Virginia. All of these teams will begin play in 2019 except for Chicago and East Bay, which are currently set to debut in 2021. The following teams are anticipated to play in the USL Championship during the 2019 season. The 2019 conference alignment was announced on December 13, 2018. ‡ Puerto Rico clubs Puerto Rico United, River Plate Puerto Rico, and Sevilla Puerto Rico began play in the league, but in May 2011 United Soccer Leagues announced that the teams would not finish the season due to financial difficulties. USL Pro's scheduling format changed for the 2015 season to accommodate the expansion that took place during the 2014–2015 off-season, and the league's resulting need to divide teams into conferences – which eliminated the single table. All teams played 28 regular-season matches stretching from March to September. This included a 22-game, double-round-robin schedule that pitted each team against all its conference opponents at home and on the road. The remaining six fixtures were played against regional rivals, which lead to some inter-conference regular season matches. The top six finishers in each conference went through to the October playoffs, which continued as a series of single-game knockout rounds. After three rounds of intra-conference play, the two conference champions met in the championship match, to be hosted by the team with the better regular-season record. For 2016 season the season was extended to 30 games. Starting with the 2019 season, teams will play regular-season games only within their conference. Each team will play a home-and-home schedule within its conference, resulting in a 34-game schedule. The top 10 teams from each conference will qualify for the playoffs, which will continue to be held with separate brackets for each conference and conducted entirely as one-off knockout matches. The opening round, which the league calls the "play-in round", sees the bottom four teams in action, with the 7 seed hosting the 10 seed and 8 hosting 9. The survivors join the top six sides from their respective conferences, with the lowest remaining seed visiting the 1 seed and the other play-in survivor visiting the 2 seed. All matches through the conference finals will be hosted by the higher seed. The USL Cup will be the season's only match that involves teams from different conferences; it will be hosted by the conference champion with the better regular-season record. The league featured national broadcast coverage on Fox Soccer Channel in 2011. In 2014 and 2015, the league broadcast all matches on YouTube. On April 22, 2016, the USL announced a partnership with ESPN, bringing 20 matches to ESPN 3 and the championship match to an ESPN network The remainder of matches will continue to be broadcast on YouTube. Beginning with the launch of ESPN+ on April 12, 2018, all USL matches will either be on ESPN networks, ESPN3 or ESPN+. Teams that no longer participate in the USL Championship are in italics. Current through completed 2018 USL Regular Season; Order based on major honors (championships). ^ a b "U.S. Soccer Board of Directors Grants Provisional Division II Status to NASL and USL". U.S. Soccer. January 6, 2017. Retrieved January 7, 2017. ^ "About". www.uslsoccer.com. Retrieved November 16, 2017. ^ a b "USL Restructures Professional Division". www.uslsoccer.com. September 8, 2010. Archived from the original on October 11, 2010. Retrieved September 8, 2010. ^ a b "MLS, USL Pro reach deal on restructured Reserve League". www.mlssoccer.com. January 23, 2013. Retrieved January 27, 2013. ^ a b "USL PRO & MLS Announce Partnership". www.uslpro.uslsoccer.com. January 23, 2013. Archived from the original on January 26, 2013. Retrieved February 7, 2013. ^ "DDL FC will play USL next season". www.dutchlionsfc.com. August 11, 2010. Retrieved September 10, 2010. ^ "Kickers Join USL Pro". www.richmondkickers.com. September 8, 2010. Archived from the original on September 12, 2010. Retrieved September 14, 2010. ^ "Puerto Rico Islanders Join NASL". www.carolinarailhawks.com. September 9, 2010. Retrieved September 15, 2010. ^ a b "Sevilla, River Plate Join USL Pro". www.uslsoccer.com. September 23, 2010. Archived from the original on November 5, 2010. Retrieved September 24, 2010. ^ a b "Puerto Rico United Joins USL Pro". www.uslsoccer.com. December 9, 2010. Archived from the original on July 16, 2011. Retrieved December 9, 2010. ^ "Battery To Play in USL Pro". www.uslsoccer.com. September 28, 2010. Archived from the original on October 1, 2010. Retrieved September 28, 2010. ^ "Dutch Lions Join USL Pro". www.uslsoccer.com. September 30, 2010. Archived from the original on June 10, 2011. Retrieved September 30, 2010. ^ "Charlotte Joins USL Pro". www.uslsoccer.com. October 4, 2010. Retrieved October 8, 2010. ^ "City Islanders Join USL Pro". www.uslsoccer.com. October 7, 2010. Archived from the original on October 9, 2010. Retrieved October 8, 2010. ^ "Riverhounds Join USL Pro". www.uslsoccer.com. October 22, 2010. Archived from the original on October 9, 2012. Retrieved October 25, 2010. ^ "Rochester Rhinos Back in USL". www.uslsoccer.com. October 25, 2010. Archived from the original on October 27, 2010. Retrieved October 28, 2010. ^ "Orlando City Joins USL Pro". www.uslsoccer.com. October 25, 2010. Archived from the original on October 27, 2010. Retrieved October 28, 2010. ^ a b c "Hammerheads Return for 2011". www.uslsoccer.com. November 9, 2010. Retrieved November 12, 2010. ^ "FC New York set for USL Pro". www.uslsoccer.com. November 17, 2010. Retrieved November 18, 2010. ^ "LA Blues Set to Play in USL Pro". www.uslsoccer.com. December 7, 2010. Archived from the original on December 10, 2010. Retrieved December 7, 2010. ^ "USL Pro League seeks to embrace regional model". www.potomacsoccerwire.com. September 14, 2010. Retrieved September 14, 2010. ^ a b "USL Pro Concludes Successful AGM". www.uslsoccer.com. November 23, 2010. Archived from the original on November 27, 2010. Retrieved November 24, 2010. ^ "USL Pro Schedule Released". www.uslsoccer.com. January 14, 2011. Retrieved January 20, 2011. ^ "Shaping the USL Pro Schedule". www.uslsoccer.com. January 17, 2011. Retrieved January 20, 2011. ^ a b "USL Reforms Agreement with PRSL". www.uslsoccer.com. May 10, 2011. Archived from the original on May 14, 2011. Retrieved May 11, 2011. ^ "USL PRO 2012 Schedule Released". www.uslsoccer.com. January 11, 2012. Archived from the original on January 15, 2012. Retrieved January 22, 2012. ^ "Phoenix to Join USL PRO in 2013". United Soccer Leagues (USL). July 2, 2012. Archived from the original on July 23, 2012. Retrieved July 2, 2012. ^ "Phoenix Announces Name and Logo". United Soccer Leagues (USL). September 7, 2012. Archived from the original on October 18, 2012. Retrieved April 17, 2013. ^ "VisionPro Academy Headed to Tampa". United Soccer Leagues (USL). November 16, 2011. Archived from the original on May 27, 2012. Retrieved August 14, 2012. ^ Lovell, Darrell. "USL PRO side Pittsburgh Riverhounds "a great place to send our players to develop" for Houston Dynamo". mlsssoccer.com. Major League Soccer. Retrieved November 26, 2013. ^ Meyer, Craig. "Riverhounds hire new president, head coach". Pittsburgh Post Gazette. Retrieved April 3, 2015. ^ "USL PRO to see teams fold; MLS to field squads; new team partnership | ODFCnews.com". odfcnews.com. Retrieved May 2, 2014. ^ "Sacramento lands minor league soccer franchise". Sacramento Bee. December 3, 2012. Archived from the original on December 4, 2012. Retrieved December 4, 2012. ^ "Oklahoma City to Join USL PRO in 2014". USLSoccer.com. July 2, 2013. Archived from the original on July 5, 2013. Retrieved July 2, 2013. ^ "MAJOR LEAGUE SOCCER AWARDS EXPANSION TEAM TO ORLANDO". orlandocitysoccer.com. Orlando City Soccer Club. Retrieved November 20, 2013. ^ Schmitz, Brian (November 19, 2013). "MLS officially awards Orlando soccer franchise". Orlando Sentinel. Retrieved November 20, 2013. ^ Wiebe, Andrew (November 19, 2013). "Orlando City SC fans, owners see years of hard work bear fruit, but promise there's plenty more to come". mlssoccer.com. Major League Soccer. Retrieved November 20, 2013. ^ "Orange County Blues Set For New Era". United Soccer Leagues (USL). February 5, 2014. Retrieved February 6, 2014. ^ "Ownership Change, Rebrand in Phoenix". United Soccer Leagues (USL). March 13, 2014. Archived from the original on March 13, 2014. Retrieved March 13, 2014. ^ "LA Galaxy announce USL PRO team LA Galaxy II". LA Galaxy. ^ Linter, Jonathan (June 3, 2014). "Louisville pro soccer club to be unveiled Wednesday". The Courier-Journal. Retrieved June 3, 2014. ^ "USL PRO Welcomes Independence". USL Pro Men's Soccer. ^ "Dayton Dutch Lions FC To Compete in PDL in 2015". Dayton Dutch Lions. December 11, 2014. Retrieved December 11, 2014. ^ "Real Salt Lake announce that new USL PRO team will be called Real Monarchs". Major League Soccer (MLS). September 10, 2014. Retrieved September 10, 2014. ^ "Real Salt Lake Announces USL PRO Team". United Soccer Leagues. November 3, 2014. Archived from the original on March 25, 2015. Retrieved November 5, 2014. ^ Lee, Jasen (March 3, 2015). "Real Monarchs reveal new stadium proposal in West Valley". ksl.com. KSL Broadcasting. ^ "Portland & Seattle Launch USL PRO Teams". United Soccer Leagues (USL). October 14, 2014. Archived from the original on October 21, 2014. Retrieved October 14, 2014. ^ "Montreal Impact to field USL PRO team to ease transition to MLS for young players". MLSSoccer.com. September 4, 2014. Retrieved November 4, 2014. ^ "A new USL Pro team". Montreal Impact. September 4, 2014. Retrieved November 5, 2014. ^ "Montreal Impact to Field USL PRO Team". United Soccer Leagues (USL). November 18, 2014. Archived from the original on November 22, 2014. Retrieved November 18, 2014. ^ "Toronto FC announces USL PRO team". Toronto FC. November 20, 2014. Retrieved November 20, 2014. ^ "Whitecaps FC launch USL PRO team, provide update on National Soccer Development Centre at UBC". Vancouver Whitecaps. November 21, 2014. Retrieved November 21, 2014. ^ "New York Red Bulls ready to launch USL PRO side in 2015: "We see it as a big, big advantage"". MLSsoccer.com. ^ Mike Petke regrets but understands New York Red Bulls decision not to field USL PRO team in 2015 (September 16, 2014). MLSSoccer.com. ^ Red Bulls will field USL Pro team in 2015, may play in New York City (January 8, 2015). Empire of Soccer. Last accessed January 19, 2015. ^ Toronto FC. "Toronto FC, NY Red Bulls unveil USL Pro franchises". SI.com. Retrieved March 21, 2015. ^ "Colorado Rapids' Pablo Mastroeni ecstatic about USL PRO partnership with Charlotte Independence". mlssoccer.com. Retrieved September 18, 2014. ^ NYCFC Announce Affiliation with Wilmington Hammerheads (January 16, 2015). NYCFC.com. ^ Chicago Fire announce affiliation with USL PRO side in St. Louis (January 16, 2015). MLSSoccer.com. ^ "Arizona United Soccer Club Affiliates With Major League Soccer's FC Dallas". Arizona United SC. February 9, 2015. Archived from the original on February 9, 2015. Retrieved February 9, 2015. ^ "FC Dallas announces USL PRO affiliation with Arizona United SC". FC Dallas. February 9, 2015. Retrieved February 9, 2015. ^ Expanded USL PRO announces new league alignment, competition format for 2015 season (January 21, 2015). MLSSoccer.com. ^ "USL Rising". USLSoccer.com. Archived from the original on February 19, 2015. Retrieved March 21, 2015. ^ USL Awards Expansion Club to Rio Grande Valley (Press Release), United Soccer League, July 15, 2015, archived from the original on July 16, 2015, retrieved July 15, 2015 . ^ Houston Dynamo reach affiliate agreement to start USL club: "It's an important and necessary step", MLSoccer.com, July 15, 2015 . ^ RGVFC awarded the USL's newest franchise, Houston Dyanamo, July 15, 2015 . ^ FC Cincinnati Introduction Media Event. YouTube. August 12, 2015. ^ Hollingsworth, Chad. "USL to Expand to Cincinnati in 2016". Scratching the Pitch. Retrieved May 12, 2015. ^ "USL Welcomes Back Orlando City SC for 2016". United Soccer League. October 15, 2015. Archived from the original on October 16, 2015. Retrieved October 15, 2015. ^ "USL expands to Kansas City in 2016 with debut of Swope Park Rangers". Retrieved October 22, 2015. ^ "Spurs Sports & Entertainment Closes in on USL Club". www.uslsoccer.com. Archived from the original on December 23, 2015. Retrieved December 22, 2015. ^ "Austin Aztex Will Not Participate in 2016 Season". United Soccer League (USL). October 2, 2015. Archived from the original on October 4, 2015. Retrieved October 2, 2015. ^ "USL promoted, but Austin pro soccer grounded for another year". Austin American-Statesman. January 7, 2017. Retrieved May 27, 2017. ^ "USL Announces 2017 Expansion Club in Reno". www.uslsoccer.com. Archived from the original on September 20, 2015. Retrieved September 16, 2015. ^ "The Montreal Impact associates with Ottawa Fury FC in the USL". Montreal Impact. December 9, 2016. Retrieved December 9, 2016. ^ "Leading Phoenix-Based Businessmen Acquire Arizona United Soccer Club". Arizona United SC. August 31, 2016. Archived from the original on September 3, 2016. Retrieved August 31, 2016. ^ "Arizona United SC Unveils New Name and Exciting Improvements in Anticipation of 2017 Season". Phoenix Rising FC. November 28, 2016. Retrieved November 28, 2016. ^ Tricia Whitaker (January 10, 2018). "Indy Eleven announces it will join USL for 2018 season". WXIN. ^ Morris, Neil. "North Carolina FC announces exit from NASL; club to join USL". WRAL Sports Fan. Retrieved November 16, 2017. ^ "USL Expanding to Nashville: Music City, USA". USL Soccer. ^ Organ, Mike (September 12, 2017). "Nashville SC: Everything you need to know". The Tennessean. Nashville. Retrieved September 13, 2017. ^ "Stadium Approval Paves Way for USL to Las Vegas". Retrieved July 20, 2017. ^ "Las Vegas gets pro soccer; fans to pick team name". Jesse Granger. Las Vegas Sun. August 11, 2017. Retrieved August 14, 2017. ^ "NAME THE CLUB VOTE: FINAL RESULTS". Las Vegas Lights FC. August 29, 2017. Retrieved August 29, 2017. ^ "Fresno Football Club to Join USL in 2018". Retrieved July 26, 2017. ^ "Atlanta United add local second-tier USL team to begin play in 2018". ESPN FC. Associated Press. November 14, 2017. Retrieved November 15, 2017. ^ "Atlanta United officially announces USL Affiliate Atlanta United 2". Atlanta United Football Club. January 9, 2018. Retrieved January 9, 2018. ^ "Owners need $1.3 million by Nov. 30 or the Rhinos are extinct for 2018 season". Jeff DiVeronica. Rochester Democrat and Chronicle. November 15, 2017. Retrieved December 24, 2017. ^ "Rhinos to take one-year hiatus, host 'several' USL matches". Jeff DiVeronica. Rochester Democrat and Chronicle. November 30, 2017. Retrieved December 24, 2017. ^ "FC Cincinnati to join MLS as expansion team next season". ESPN.com. May 29, 2018. Retrieved May 29, 2018. ^ "Penn FC to Join USL League One in 2020" (Press release). United Soccer Leagues. October 8, 2018. Retrieved October 15, 2018. ^ "Kickers Named a USL Division III Founding Member" (Press release). United Soccer Leagues. September 11, 2018. Retrieved September 12, 2018. ^ "Toronto FC II Joins USL Division III as Founding Member" (Press release). United Soccer Leagues. July 2, 2018. Retrieved July 6, 2018. ^ a b "Rochester Approved for USL Division III" (Press release). Rochester Rhinos. August 22, 2018. Retrieved August 22, 2018. ^ "Orlando City B Becomes USL Division III Founding Member" (Press release). United Soccer Leagues. September 6, 2018. Retrieved September 16, 2018. ^ "USL Announces Return to Austin in 2019". USL. Retrieved June 6, 2018. ^ "USL Officially Awards Franchise to Birmingham". Retrieved August 8, 2017. ^ "Edwards Confirms Memphis Set for USL in 2019". United Soccer League (USL). November 11, 2017. Retrieved November 11, 2017. ^ "Memphis Joins the USL for 2019 Season". United Soccer League. January 8, 2018. Retrieved January 9, 2018. ^ "Sterling Bay Executives to Bring USL to Chicago". USL. November 21, 2017. ^ "United Soccer League expansion team coming to North Side site proposed for Amazon's HQ2". Chicago Tribune. November 21, 2017. ^ "Hartford Launches Name the Team Contest". USL. Retrieved May 4, 2018. 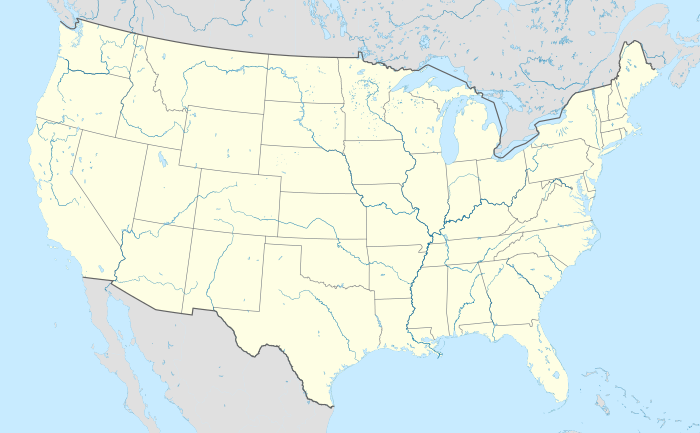 ^ "United Soccer League Announces New Mexico Club". USL. Retrieved June 6, 2018. ^ "Professional, international United Soccer League coming to El Paso". February 28, 2018. ^ "Loudoun United FC Joins the USL for 2019". United Soccer League (USL). Retrieved July 18, 2018. ^ "USL Championship Unveils 2019 Conference Alignment". United Soccer League (USL). December 13, 2018. Retrieved December 13, 2018. ^ Staff, USL DIII (September 6, 2018). "Orlando City B Becomes USL Division III Founding Member". Retrieved October 1, 2018. ^ Staff, USL League One (October 8, 2018). "Penn FC to Join USL League One in 2020". Retrieved November 8, 2018. ^ "Rochester Rhinos Announce Decisions For 2018 Season". Rochester Rhinos. November 30, 2017. Retrieved December 24, 2017. ^ "USL reforms Agreement with PRSL". United Soccer Leagues. May 10, 2011. Archived from the original on May 14, 2011. Retrieved May 10, 2011. ^ Hollingsworth, Chad (December 15, 2014). "USL PRO announces conference alignment, structure for 2015". RecklessChallenge.com. Retrieved January 24, 2015. ^ "USL Pro 2015 Standings". USLSoccer.com. Retrieved January 24, 2015. ^ "Expanded USL PRO Unveils 2015 Format". USLSoccer.com. January 21, 2015. Archived from the original on January 22, 2015. Retrieved January 24, 2015. ^ "2019 USL Championship Schedule Unveiled" (Press release). United Soccer League. December 19, 2018. Retrieved December 21, 2018. ^ "USL Pro partners with YouTube to provide free live streaming". Soccer By Ives (sbisoccer.com). January 17, 2014. Retrieved April 28, 2016. ^ "USL Announces Partnership with ESPN". USL. April 22, 2016. Retrieved April 24, 2016. ^ Staff, USLSoccer.com (April 6, 2018). "USL, ESPN Expand Broadcast Agreement Through 2019". Retrieved April 17, 2018. ^ "current 2011 attendance - USL Discussions". usldiscussions.com. Retrieved May 2, 2014. ^ "2012 USL-Pro Attendance". Doherty Soccer. ^ "Taking Attendance 9/13/2013: Final USL Pro Numbers". kenn.com. ^ "2014 USL-Pro Season Attendance Log". Doherty Soccer. Archived from the original on July 22, 2014. Retrieved August 6, 2014. ^ "USL 2015 Stat Leaders - United Soccer League". uslsoccer.com. ^ "USL Total Attendance Soars by 33 Percent in 2016". uslsoccer.com. Retrieved October 14, 2016. ^ Staff, James Leggate, WCPO. "FC Cincinnati crowd sets league attendance record". WCPO. Retrieved April 17, 2016. ^ Brennan, Patrick. "Another record crowd turns out to watch FC Cincy win". Cincinnati.com. Retrieved May 14, 2016. ^ Kimura, Fumi (October 2, 2016). "Post-Season Ends in Loss To Battery, FCC Sets USL Playoff Record". Retrieved October 7, 2016. ^ staff, FCC (September 16, 2017). "FCC Tames Red Bulls II". Retrieved May 27, 2018. ^ nicholas.murray@uslsoccer.com, NICHOLAS MURRAY - (September 29, 2018). "Gameday Report: September 29, Week 29". Retrieved October 1, 2018. Wikimedia Commons has media related to USL Championship.